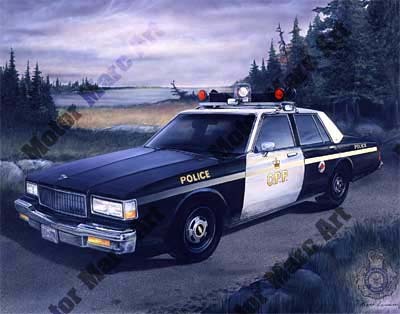 The classic black and white paint scheme of the O.P.P. is highlighted in this tribute to Ontario’s police force. A northern theme underscores the vast rural areas of service for which the O.P.P. is responsible.